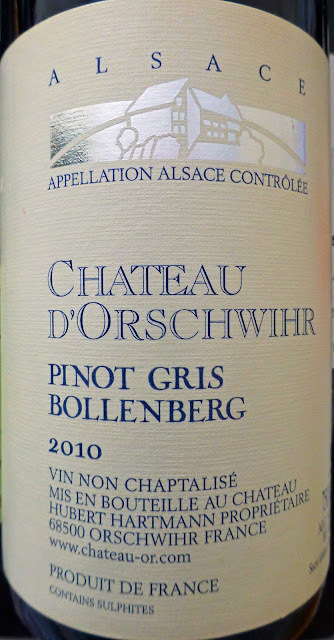 This is not your usual Pinot Gris.This is from the Alsace where they make them full-bodied, wines of substance and character. “At table,” says the World Atlas of Wine, “it offers a realistic alternative to a white Burgundy.” Different for sure but Very Highly Recommended. For a start, you are advised to “Take your time to discover this golden yellow coloured wine”. 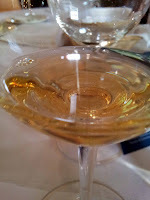 And that colour is amazing, a brilliant golden yellow, very much like you’d find in a dessert wine such as Monbazillac. 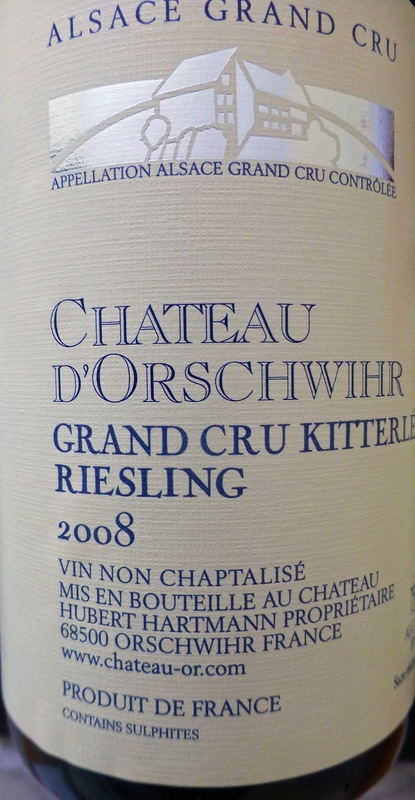 The intense exotic nose gives ripe yellow fruits (apricots), floral notes too, even a hint of honey. The palate’s rich with flavour, a creamy mouthfeel, but with an excellent balance and persistent finish. 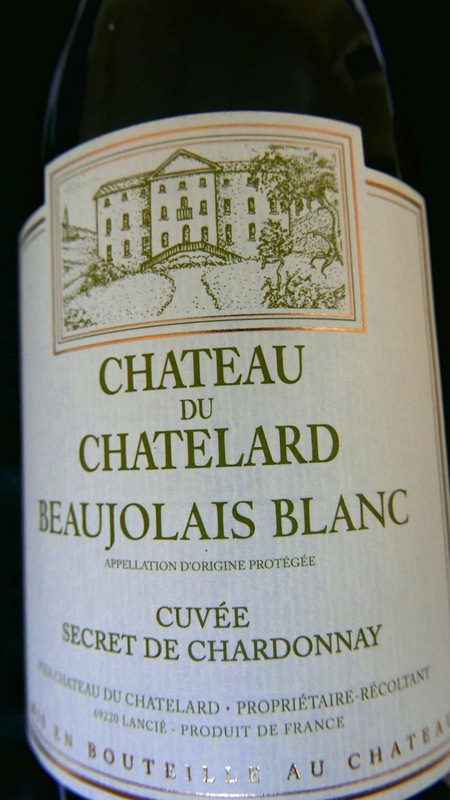 This full-bodied wine, according to the chateau’s website, “is perfect with white meats, fish or seafood in sauce. It is particularly suited to fit scallop dishes”. I think though you can be more adventurous. 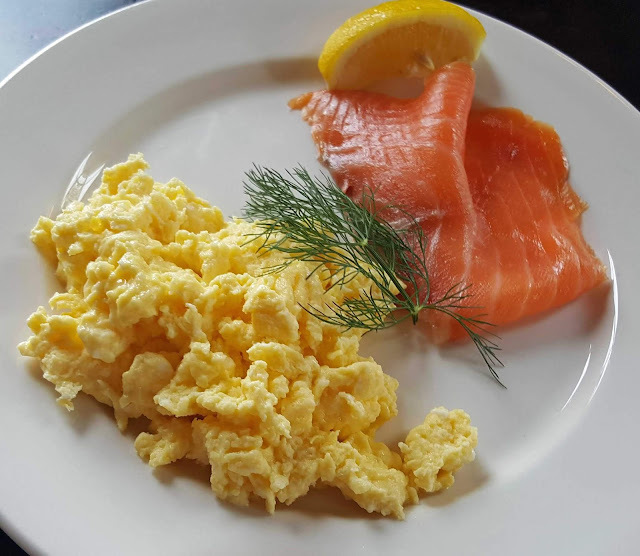 Bolder suggestions include broiled salmon, rich lentil stews, roast duck and washed rind cheeses. 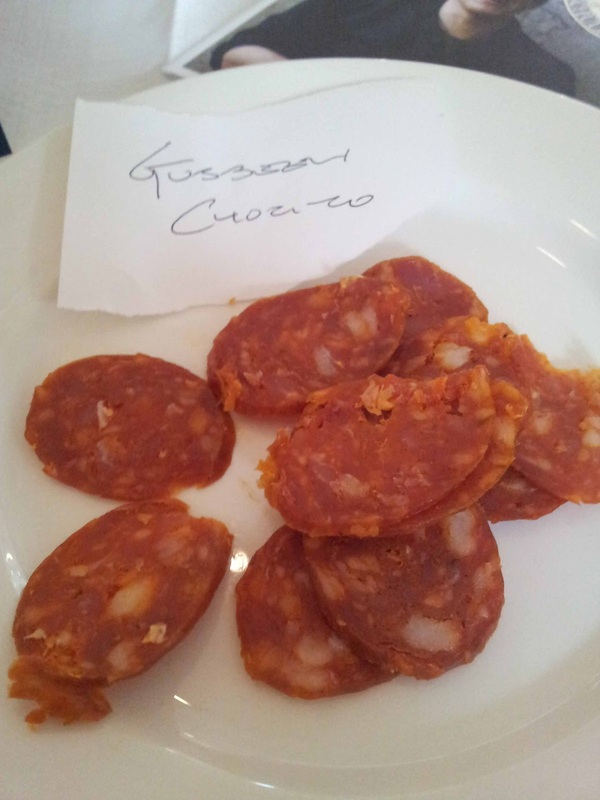 And, with the hints of sweetness (it does have a sugar content at 9g/l), I tried it with a few pitted Tunisian dates (from Bradley’s of Cork) and thought they went perfectly well together. Different strokes for different folks! This pleasant young red wine from Spain is not that widely available; just 2,125 bottles were produced from this vintage and the number on my bottle is #477. 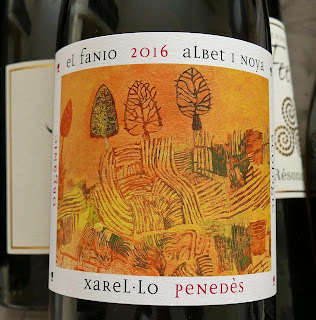 It is a blend of 40% Mencía 30% Brancellao 15% Caíño 15% Sousón, not the best known of grapes! Raised for 6-8 months in casks made from French oak and 6 months in the bottle. It is lovely wine with a dark ruby colour, the rim a little lighter. 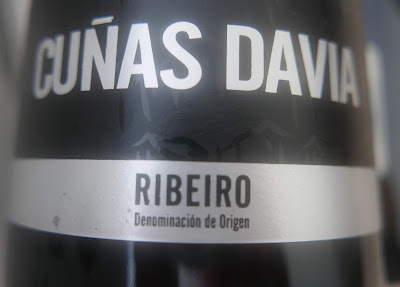 Fresh and intense aromas of darker fruits (plum, cassis), hints of oak. Warm and smooth on the palate, black and red berry flavours, pleasant acidity, tannins are pleasant too, and there is a long dry finish. Highly Recommended. The acidity marks it as a wine for food and the makers say it matches perfectly with Galician style octopus, blue fish, grilled meats and earthy casseroles. Today, we have two blends for you, one of three Italian grapes, not from Italy but from the McLaren Vale in Australia, the other a more formal blend of white grapes, known as Gentil, from the Alsace. Both wines are excellent, each Highly Recommended. As you might expect, the alcohol in the Australian is much higher, 14.5% as against a moderate 12%. 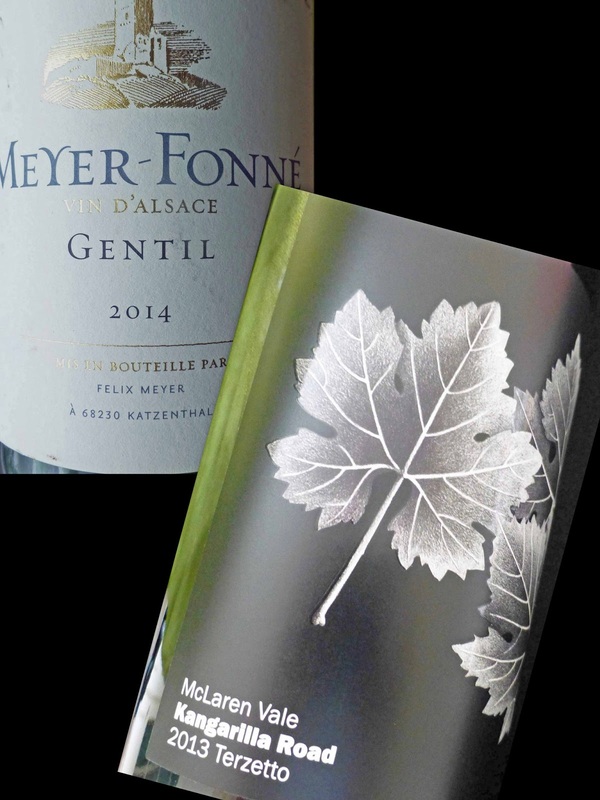 Gentil started as an kind of all-in white grape blend in the 1920s. 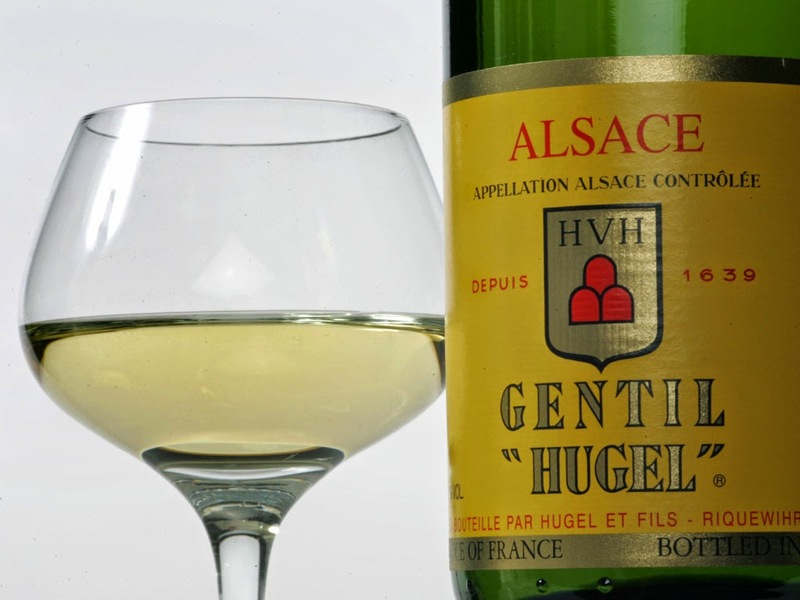 Today, the name Gentil is reserved for AOC Alsace wines conforming to the standards of a blend of superior quality. 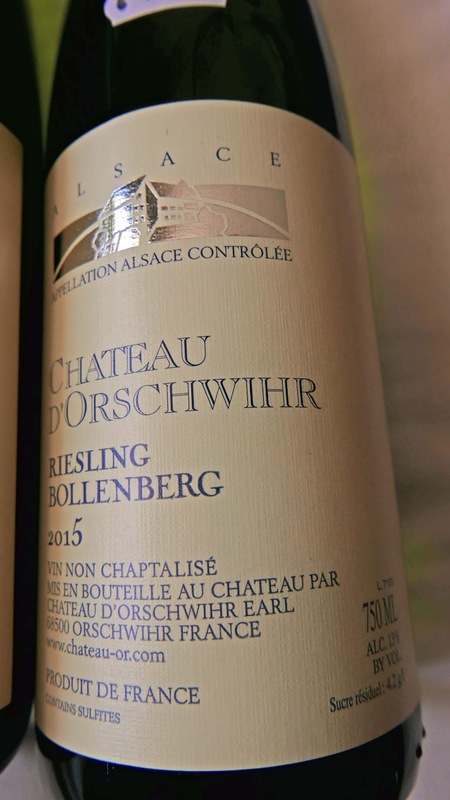 This blend must be composed of a minimum of 50% Riesling, Muscat, Pinot Gris and/or Gewurztraminer, with the rest made up of Sylvaner, Chasselas and/or Pinot Blanc. Before blending, each varietal must be vinified separately and must officially qualify as AOC Alsace wine. Gentil must mention the vintage and may not be sold commercially until after quality control certification in bottle. Kangarilla Road Terzetto 2013, McLaren Vale (AUS), 14.5%, €17.95 (14.36 at sale earlier) O’Brien’s. Violet is the colour and the slow-clearing legs hint at the high ABV. Red fruits dominate the aromas. 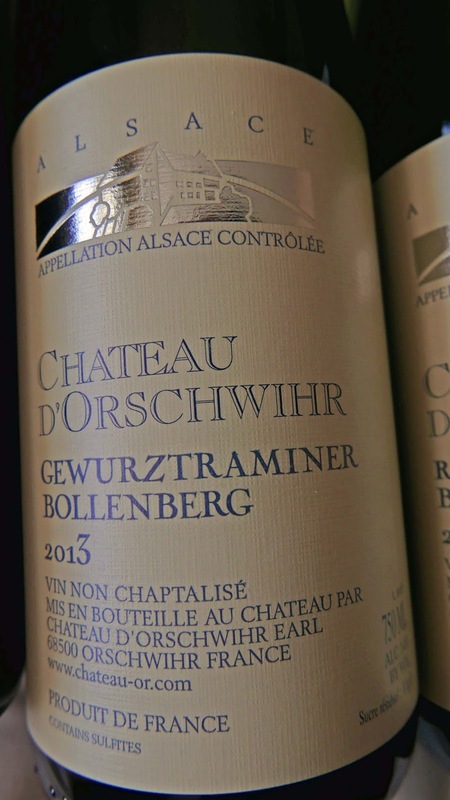 Juicy and fruity; the fruit flavours carry a hint of sweetness but are really well balanced with a delicious savouriness, good acidity too and tannins at play as well. All that and a very pleasing finish. Quite a blend from Kevin O'Brien (great to see his wines back on Irish shelves) and Highly Recommended. Usually, O’Brien’s bottles have beautifully executed hand-drawings of the leaf of the grape variety. This one has no less than three, of course. 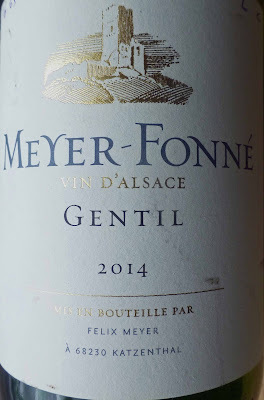 Meyer-Fonné Gentil 2014, Vin d’Alsace, 12%, €16.65 Le Caveau. Light gold is the colour of this white blend from the Alsace. 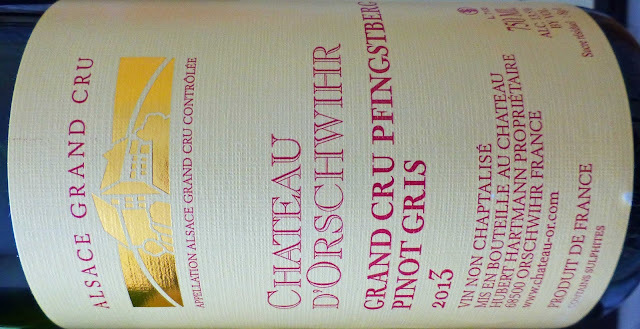 There are subtle white fruit (peach, melon, citrus) aromas, some blossom too. 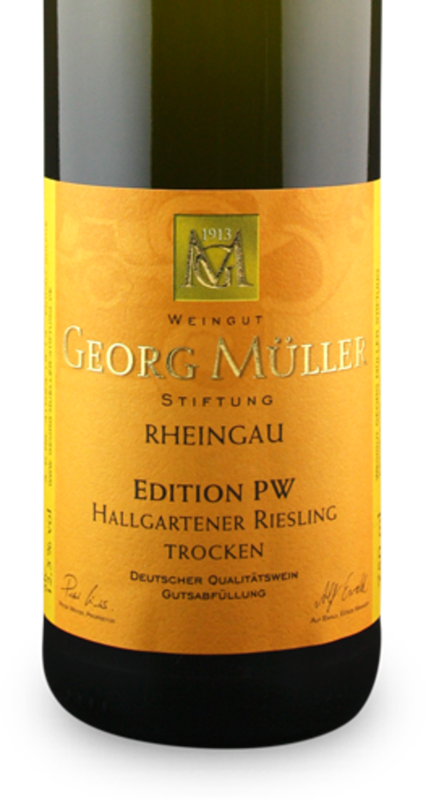 It is fruity and refreshing on the palate, includes hints of sweetness, lively acidity too, plus a decent finish. A very agreeable little number and again Highly Recommended. And this agreeable little number is his “entry level wine”, leaving one very keen indeed to try the full range, right up to a highly rated Cremant, from this organic producer. 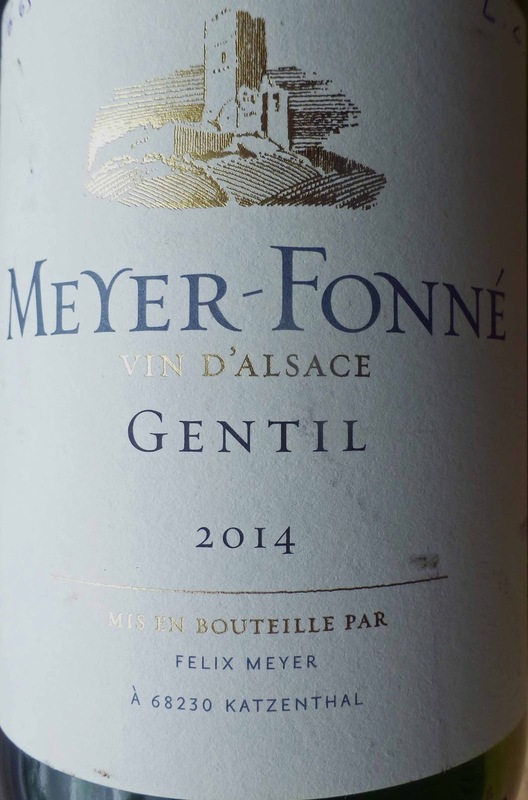 The current official word on the Gentil blend (the practice goes back to the 1920s) is above but this Meyer-Fonné consists of Muscat, Pinot blanc, Riesling and Gewurztraminer. Colour is a very light gold and there are fruity aromas. On the palate you’ll find concentrated fresh fruit (nectarines, apricots), a slight tingly mouthfeel. Superb, this well balanced wine needs to be sipped and a sip will go a long way! Very Highly Recommended. 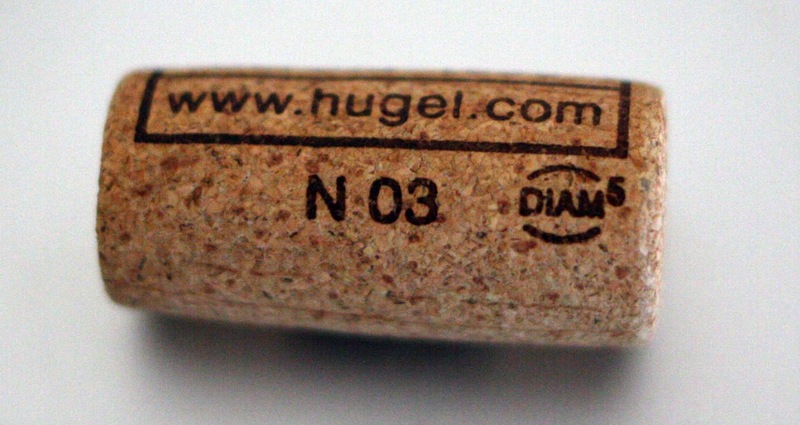 This has the VDP eagle displayed on the neck, “a guarantee of pure wine pleasure”, not a bad start. The stiftung means a foundation and for many years the winery was a foundation for the benefit of the town of Eltville in the Hattenheim region. In 2003, it came back into private ownership. Peter Winter, a one-time boss and long-time friend of Joe Karwig, is the new owner and kept the existing name. 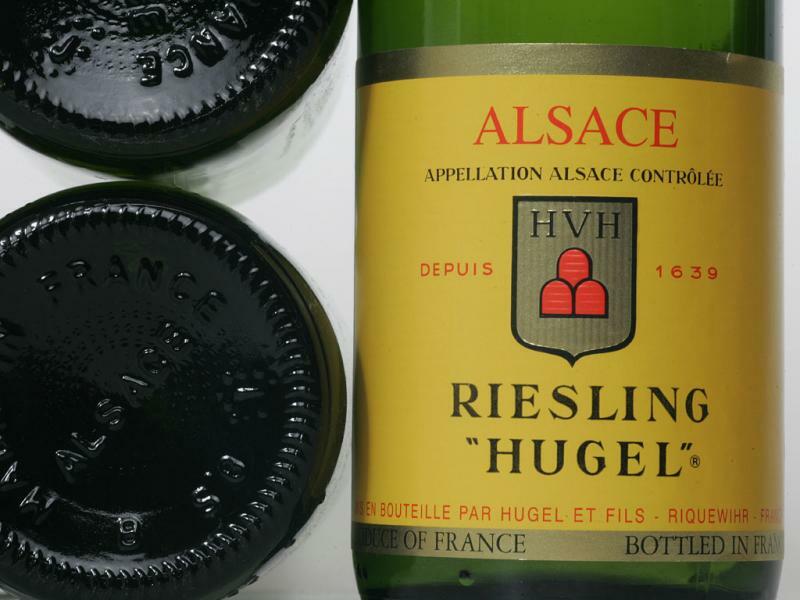 This gorgeous wine, an “assemblage” of all the local grape varieties, is Hugel’s best seller, available throughout the world. The grapes are hand-picked and the blend is 15% Riesling, 19% Gewürztraminer, 2% Muscat, 24% Pinot Gris and 40% Sylvaner & Pinot Blanc. Closure by the way is also rather unusual as they us the DIAM method. Not strong on colour, a light silver and traces of green, and there are attractive aromas (including fruit and floral elements). 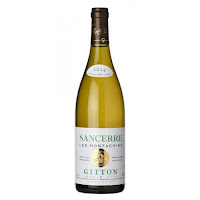 On the palate, is has a soft and supple feel, is full of flavour, dry and with a great finalé. The well balanced gem is “a delicious bargain” according to Hugh Johnson. Very Highly Recommended. 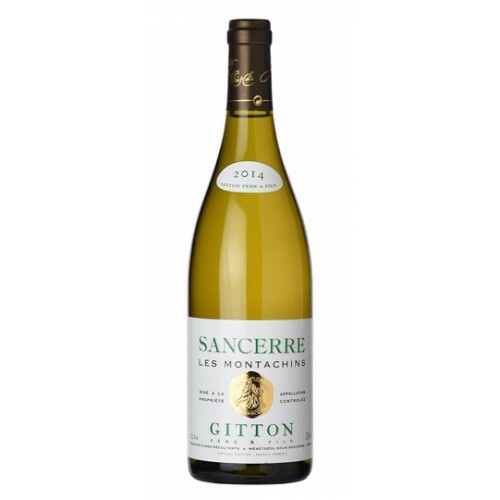 Light gold in colour, this aromatic wine, a refreshing mouthful, has white fruit and good acidity. Tart enough but no sign of the lip-stinging. Excellent as an aperitif and fine too with this evening’s sea-bream from Ballycotton Seafood in the English Market. Picpoul means lip-stinger in the local dialect and refers to the zestiness and almost salty tang. The grape is often blended to moderate the sting! I have come across some strongly acidic examples but there is nothing extreme in this one; it is moderate and is Highly Recommended. 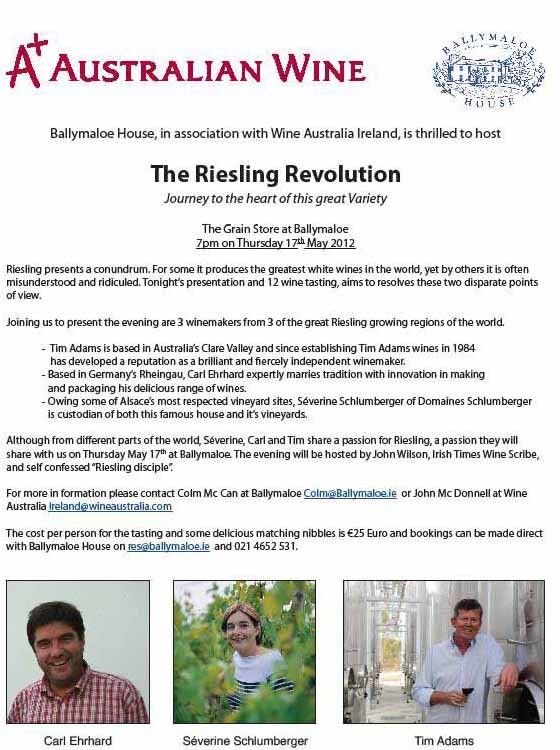 Riesling? In a blend? Mais oui! 12.5%, €13.99 Bradley’s Off Licence. That is what it says on the back label and I found it pretty accurate. Colour is light green, pale yellow, very bright. And it is aromatic, mainly floral. On the palate, it is fruity, not overly so. It is fresh and fleshy. Dry, gently so, as they say. Highly recommended. The grapes are hand harvested and the blend is Gewürztraminer (11%), Pinot Gris (18), Riesling (16), Muscat (7), Sylvaner and Pinot Blanc (48). The closure is DIAM and you may read about this method here. 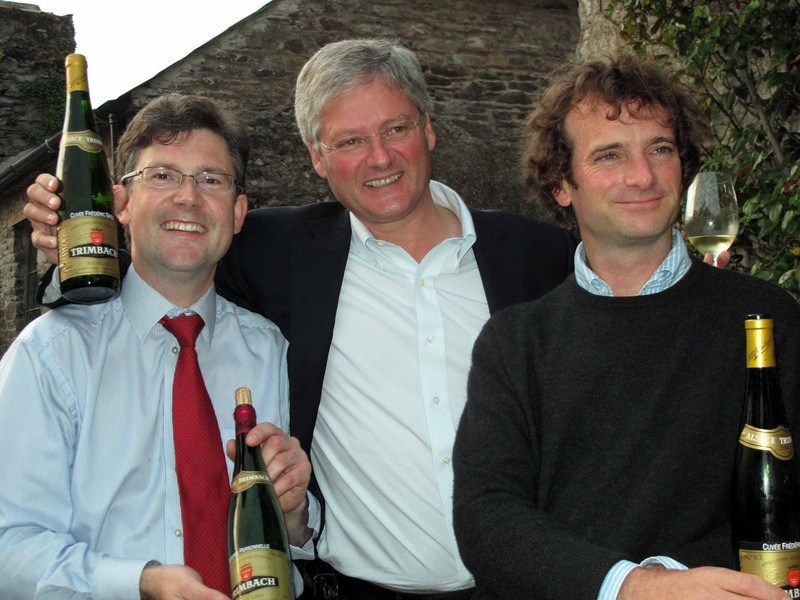 Bradley’s also stock the Hugel 2011 Riesling, a great drink methinks. Sounds pretty severe but one of the result is this Riesling gem. 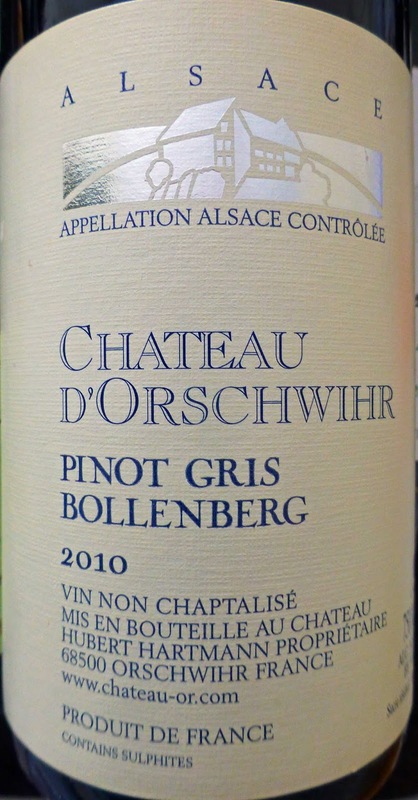 This is a bright wine, with a mainly straw colour with hints of green. 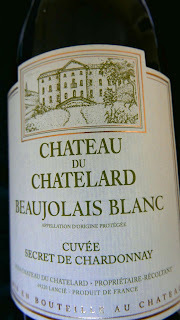 The nose is fresh and fruity and on the palate it is beautiful and fresh and absolutely dry. A lovely, lively example of the variety with a citrus tinged finish. Very Highly Recommended. 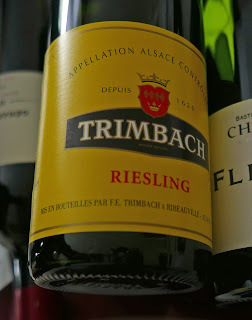 Trimbach, family run since 1626! Close to four hundred years ago, a Swiss called Jean from the village of Trimbach (not far from Basle) left and crossed the Rhine to Alsace and in 1626 the young man, now called Jean Trimbach, founded the wine business that stills bears his name. 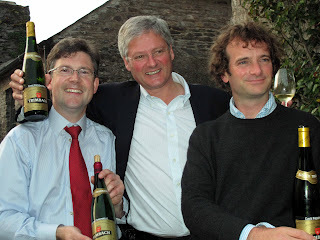 Last night in Ballymaloe, his descendant, also Jean Trimbach, took us through four flights of their top class wines and matched them with charcuterie and cheeses made by two of Ireland’s leading food families, the Fergusons of West Cork and the Furno’s of Tipperary. 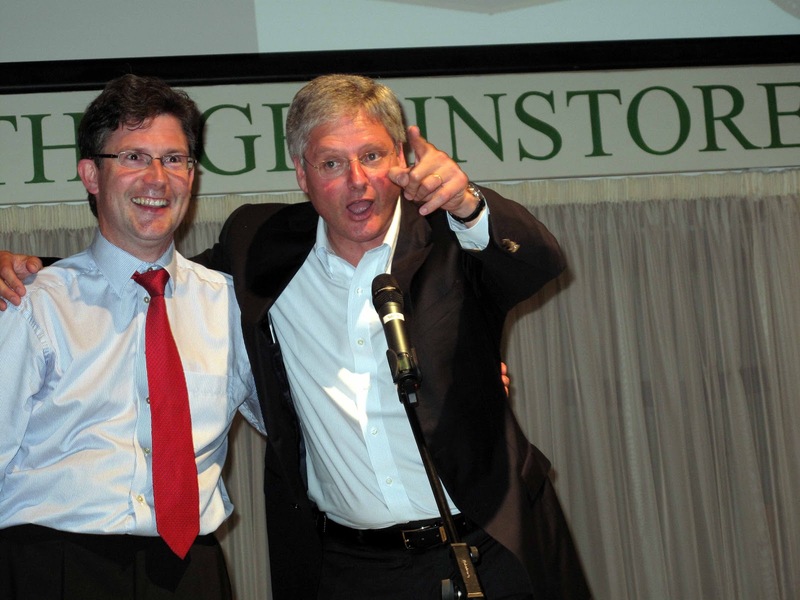 There was so much went on in the Grainstore last night that I think I will reserve the Ferguson and Furno stories, even if they do not go back to 1626, for future posts. Watch this space – I won’t delay! Well, except for a family wedding tomorrow. 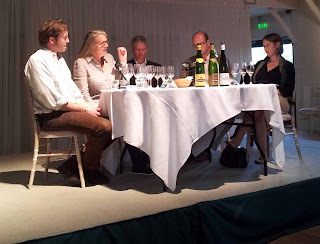 Jean first showed three Rieslings, “all bone dry”. 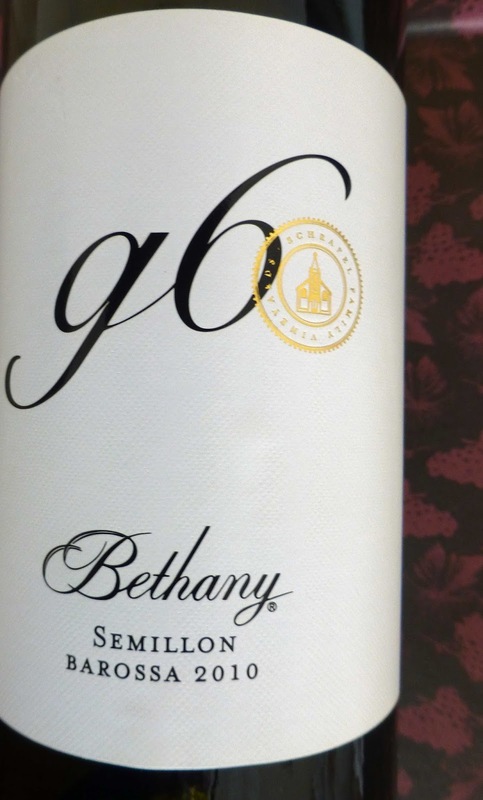 The 2006 Reserve was “creamy, crisp, refreshing, very versatile with food”. Then came the Cuvée Frederic Emile 2004, named after his great great grandfather: “..dry Riesling at its very best, voted top dry in the world, a serious wine”. Serious work too he said because of the steep slopes on which the wines are planted. If you don’t watch your step and your bucket while picking, you could well accompany it in a roll down the hill. The third, the Clos Ste Hune 2004, was a real treat for us. “Just 800 cases for the world. Just beautiful. One of the finest in the world. Collectible. The one to collect right now is 1985.” The match with these three was the Gubbeen chorizo. 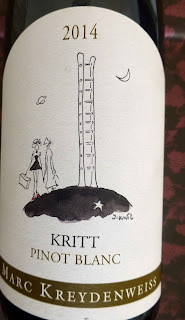 Then Jean presented two Pinot Gris, at pains to point out that this was originally a grape from Burgundy and not Pinot Grigio as some people might think. This is fuller, richer, creamier, great with Foie Gras. 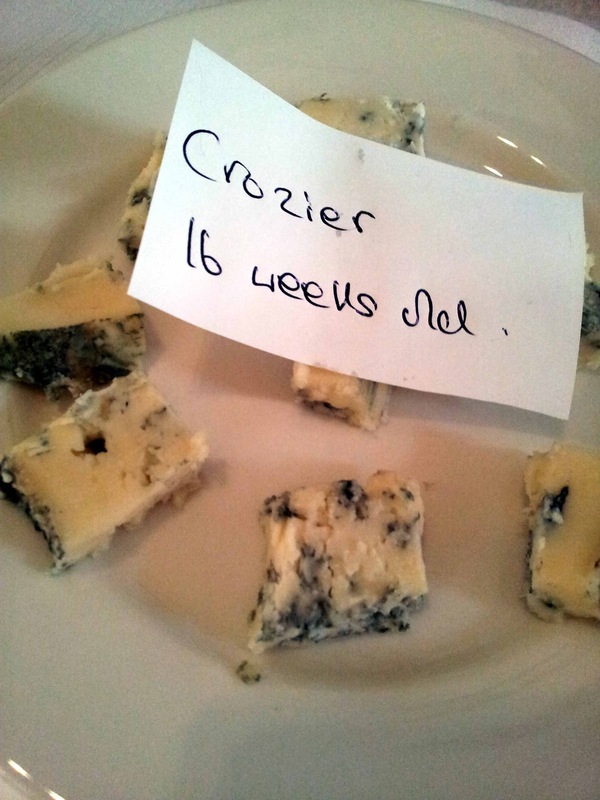 They were matched with the impressive Crozier Blue (8 weeks). First was the Reserve 2008, “a bring me home tonight wine and value for money”. Then we had the Reserve Personnelle 2001, which is not produced every year. “This,” said Jean, “was bottled in April 2002 but it looks as if it was bottled yesterday.” It went very well indeed with the cheese. The next flight was two of the Trimbach Gewürztraminer. Gewurz means spicy, he told us. 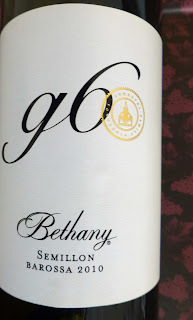 We first tasted the 2009: “elegance, finesse, focus. Just like the cheese, a beautiful match”. The cheese this time was Gubbeen smoked which also went well with the Cuvée des Seigneurs de Ribeaupierre 2005, a wine deemed worthy enough to pay “homage to the counts of the village”. We ended the evening with a couple of dessert wines. The Pinot Gris Vendanges Tardive 2000 was paired with the Cashel Blue (14 weeks) while the Gewurztraminer Vendanges Tardive 2002 was matched to the Crozier (16 weeks), both perfect pairings. Jean explained about Botrytis (the Noble Rot) and praised his brother Pierre, the Trimbach winemaker, as indeed he had throughout the evening, in his management of this dodgy process. Balance is everything. As the rot sets in, the sugar goes up and so too does the acidity. But at a certain point, they can get out of synch and the winemaker must make his own decision, daily testing, to pick the shrunken fruit at the optimum time. “Sweet yes but think about balance.” I think everyone agreed that Pierre got it right with this pair as he did with all the others. Next, a surprise as Jean came back to the mike and, accompanied by Ballymaloe’s superb sommelier Colm McCan, treated us to a song. Then we all moved outside to the Wildside Catering barbecue. 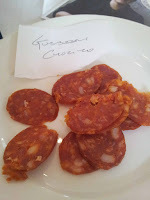 A superb evening and more about the charcuterie and cheeses in posts over the next few days. The visit was arranged through Des King and Claire Lomasney of Gleesons/Gilbey Wine Merchants and enjoyed our table chat with them and also with Eileen and Michael Fleming, long time friends and supporters of Jean.